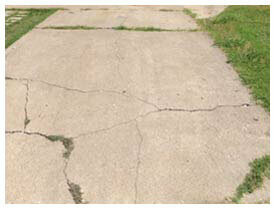 Get Concrete Repair In Grand Prairie, Driveway Repair. Concrete Contractors End Problems And Cracks. For concrete repair in Grand Prairie, driveway repair and more, contact the contractors at HD. We’ll tell you all about concrete repair in Texas. We’re BBB-A+ rated contractors you can rely on to stop issues such as cracks. When you need concrete paving and resurfacing, we fix concrete surfaces at costs you can afford. As concrete repair experts that service the Grand Prairie area, driveway repair is one of many services we offer. Why Concrete Repair In Grand Prairie Or Driveway Repair? The main reasons why concrete must be fixed are: (1) Poor design or construction has caused concrete cracks and other concerns. (2) Contractors put too much water in the concrete mix and that has created problems. You may want to study information on commercial and residential concrete contractors in Grand Prairie. Driveway contractors are helpful. (3) Severe weather has affected your property. (4) The surface of your concrete driveway or other surface wasn’t completely cured. Read about concrete driveway repair and find out more about the contractors who do it. (5). If you live in the Arlington or Grand Prairie area, learn what concrete repair costs and get contractor prices for service. Costs start at $6.50-$7.00 per foot of concrete and are based on the square footage involved. The type of surface that needs to be fixed affects the cost, too. If you need concrete repair, Grand Prairie services for driveway repair or parking lot service vary. Keep in mind that 100 sq. 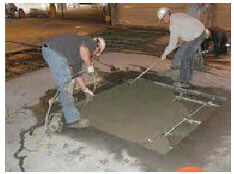 ft. is a relatively standard minimum for fixing any standard concrete areas. You may want to review what concrete driveway repair costs, too. 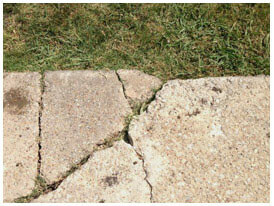 Grand Prairie property owners rely on HD to fix concrete driveways issues quickly and effectively. In addition to performing concrete resurfacing, we pave concrete parking lots, fix cracks in retaining walls, decks, patios, curbs, stairways and more. 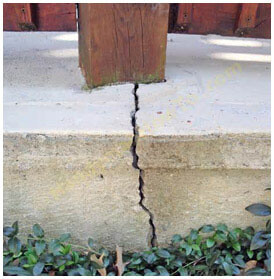 To prevent fractures and other concrete issues, review information about how to stop concrete cracks. For resurfacing, paving or cracked driveway repair in Grand Prairie, free concrete repair estimates and evaluations can be scheduled online. Or, just call us. We service the entire DFW metroplex.